Modular Flat Screen Library Computer Table - Adder 60"x24"
Modular adder Flat Screen Computer Tables share the sides of starter tables to maximize space and legroom. They enable you to build a row of computers and expand as needed. 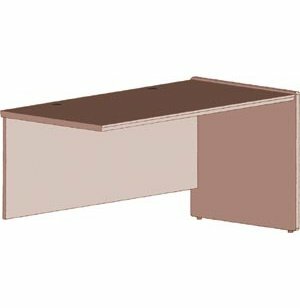 Whether you are setting up computers in your classroom, lab or library, school computer tables from Russwood are an attractive option. A huge selection of work surface finish hues lets you add some color to a space or coordinate with existing decor. With a selection of shapes, sizes and styles you can get a great fit for any space. These computer desks are designed to maximize your work areas and help your students stay organized. Wire-management grommets make it easy to plug in computers without cluttering the work surface. 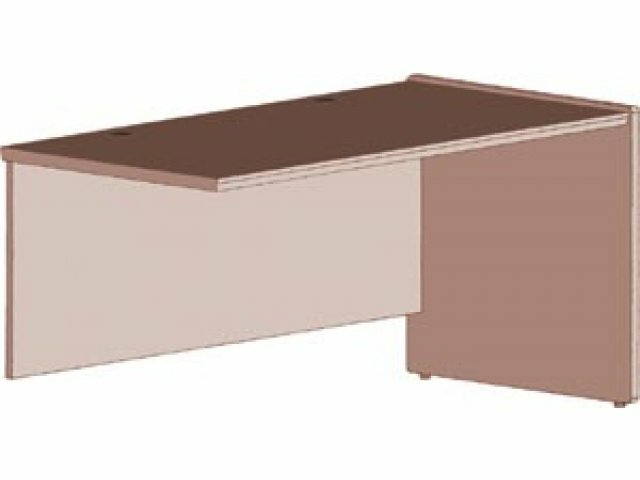 High-density particleboard core reinforced by high-pressure laminate surfaces and backer sheets makes these computer tables strong. Sturdy connections and edge protection offer enhanced durability for many years of student use. Convenient Option: Keyboard tray available. Call for pricing. Modular Design: Combine with a starter unit to create your perfect arrangement. Uncluttered: Grommets and wire-management facilitate neat, discrete routing of cables. Strong Connections: The work surface is connected to the end panels via a 14-gauge metal bolt cleat, using a threaded insert. Durable Build: Tops are fastened to side, end and back panels with 14-gauge steel brackets and top-quality wood screws. Protected Edges: All visible panel edges have shallow bullnose flush edge banding. Quality Materials: Full-length modesty panel made of 3/4"-thick red oak veneer plywood. Environmental: FSC-certified (Forest Stewardship Council) wood is available - please call for special pricing.